Mike Rounds is sure taking the fun out of my senior coffee at McDonald’s -- or at least the part where I sip the hot stuff while surfing the web. He’s afraid I’ll get tracked and hacked while using that free Wi-Fi. “They” are the people who are constantly snooping around the internet, looking for trouble. One of them could be sitting a couple booths away from you in McDonald’s, or Starbucks, or where ever you go to sit and sip and surf. As many of you know, I’m a computer idiot. That extends to smart phones, most of which are far more intelligent than this particular user. But some users are really smart. Rounds says it’s smart to be smart about the way you use your smart phone, so you can outsmart the smart hackers. And apparently there are ways you can hook in to an “open” Wi-Fi connection at McDonald’s or elsewhere and still protect yourself. There are also other ways to reduce your chances of being hacked. I’m not sure I’m savvy enough to pull that stuff off, so I’m thinking about staying off the free Wi-Fi when I’m out sipping the hot stuff. Instead, I’ll simply burn some data (that’s computer talk) instead — within reason and the confines of my iPhone agreement, that is. Perhaps having a sense for my technical skills, Rounds said the burning-data route didn’t seem like such a bad idea, until or unless I reach a point where I’m confident I can take the steps to protect myself and my essential information on free Wi-Fi, which could end up being pretty costly if things go wrong. This is all familiar territory for Rounds, by the way, and getting more familiar by the day. He spends a lot of time on cybersecurity, worrying about tracking and hacking with potential consequences much worse than the safety of my personal information while I’m riding a Wi-Fi wave down at McDonald’s. 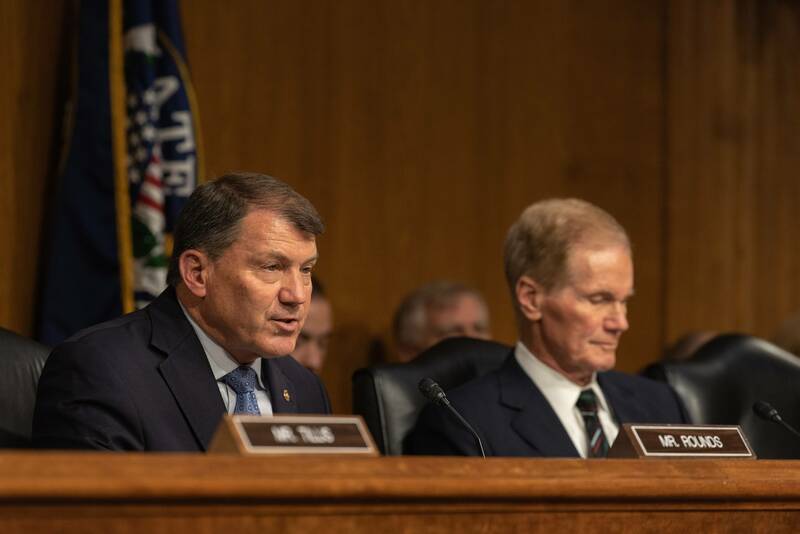 As chairman of the Cybersecurity Subcommittee of the Senate Armed Services Committee Rounds sits through regular classified briefings about our ongoing gunless battles with Russia, China, North Korea and other nations over sensitive information and essential computer systems and how to protect them. As well as how to fight back with our own cyber weapons, if needed. All congressional members have seen clear evidence of Russian hacking and attempts to influence our elections in 2016, to say nothing of our relationships as citizens. Those online messages — which are real fake news — and other tricks during the campaign were intended to influence voters, Rounds said. There was no evidence that voting machines were effectively hacked to change votes, but that’s a continuing fear and the focus of extensive work to prevent it, he said. Work progresses on assuring the integrity of election systems across the states, Rounds said. China continues to be perhaps the worst online adversary in terms of the theft of intellectual property, he said. “They do it over the web, but also by going in and stealing off desks,” Rounds said, “Their weapons systems look a lot like ours because of that, the stealing of things. Russia and China are also constantly working on ways to disrupt financial, electrical and water systems tied to or managed through computer systems, Rounds said. Including me and my reduced-price senior beverage down at McDuck's.